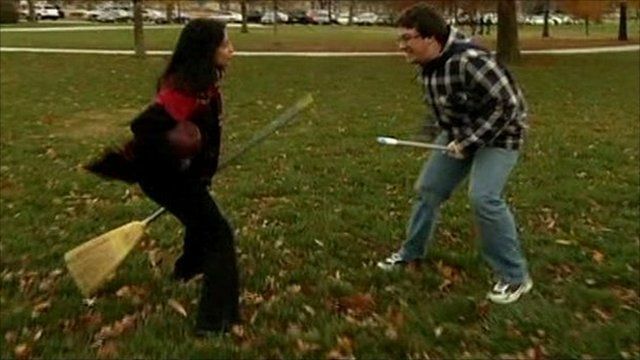 Quidditch, the game popularised in the Harry Potter books, is now being played by students in colleges around the world. But shackled by the laws of gravity how do humans - or muggles - translate the magical airborne sport to real life? Rajini Vaidyanathan joined the team of George Washington University to find out how to play the game.